Taiwan Visa-Free Philippines: Do Filipinos Need A Visa To Enter And Visit Taiwan? Filipino citizens who want to enter and visit Taiwan have always been required to apply for and present a valid visa before they are allowed entrance in the country. However, it was announced in October of 2017 that this requirement was waived on a trial basis. In a statement, the Taipei Economic and Cultural Office (TECO) said that Filipinos can now enter Taiwan visa-free starting on November 1, 2017 until July 31, 2018. In the statement, TECO said that "Philippine nationals who intend to visit the ROC (Taiwan) for the purpose of tourism, business, visiting relatives, attending functions or events can enjoy visa-free entry to Taiwan, ROC, for a duration of stay up to 14 days." 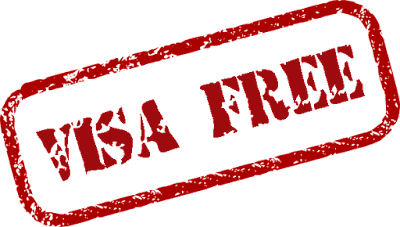 In short, the visa-free option will only be available to Filipino nationals whose stay in Taiwan will not exceed fourteen (14) days. Needless to say, if you are going to visit for more than 14 days, you still have to go through the process of applying for and obtaining a valid visa for Taiwan. "The Taipei Economic and Cultural Office (TECO) in the Philippines has the pleasure to announce hereby that starting from November 1, 2017, Philippine nationals who intend to visit the ROC (Taiwan) for the purpose of tourism, business, visiting relatives, attending functions or events can enjoy visa-free entry to Taiwan, ROC, for a duration of stay up to 14 days. This visa-free initiative shall undergo a 9-month trial period until July 31, 2018 as part of Taiwan’s goodwill and efforts of the “New Southbound Policy” to build closer people-to-people exchange of visits and an economic community between Taiwan and the Philippines. 4. A proof of accommodation (hotel) booking or host/sponsor’s contact information /or arrangements of tour, travel, visit, events and meeting etc. Since 2016, the Taiwan Government has endeavoured to liberalize and simplify visa regulations for Philippine nationals, including the free “Travel Authorization Certificate” (TAC) for qualified visa-free travellers and the payable e-visa (online visa). These two relaxed visa application systems will be suspended for Filipinos upon the implementation of the visa-free treatment as from Nov. 1, 2017. Passengers who enter Taiwan before Nov. 1 with valid TACs may continue to stay for up to 30 days. But for passengers who do not enter Taiwan before Nov. 1, their TACs will be no longer valid even within its validity. All approved e-visas before Nov. 1 (including the date) will still be valid to enter Taiwan with duration of stay up to 30 days. Those who have already obtained long-term & multiple Taiwan visas which have been stamped on their passports can still use their visas to enter the ROC (Taiwan)."